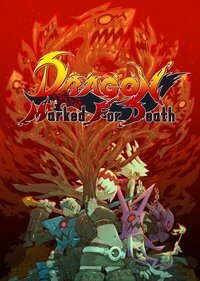 Inti Creates has announced at Anime NYC that sidescroller action RPG Dragon Marked for Death will release for Nintendo eShop on January 31, 2019 - delayed from its previous December date. Inti Creates has also announced that the game will receive a physical release, courtesy of Nighthawk Interactive. The physical version of the game will release at some point after the digital version. Inti Creates also revealed that the game will sell as two separate parts on Nintendo eShop, each part priced at $14.99. Players will choose between the Frontline Fighters pack and the Advanced Attackers pack initially, each pack containing two of the game's four characters. Whichever pack a player purchases, the other can also be purchased as DLC. The physical release will contain all characters, but it has not yet been priced. Finally, Inti Creates revealed the opening movie for the game. Check out the video below, alongside details on the release format and pricing.